Have I mentioned that I love to cook? Well, I love to cook. And, I am a darn good cook, too. Just ask my husband, or any number of people I have fed over the years. Good cooking runs in the family genes. I have good cooks on both sides of my family. Plus I am a Cancer Crab, and one of our personality traits is the want to nurture and care for others. In me, this manifests itself in cooking! Food is love people! My brother is also a very good cook, so it’s not just the women that are blessed with this good cookin’ gene. Actually, I think my brother is a more creative or inventive cook than I am. I think he is much more willing to try something out of the ordinary, whereas I like to try new recipes, but I don’t like to do anything that I feel is too complicated or where the ingredients might be too hard to source. So, in that way maybe I’m a lazy, good cook. HA! My darling husband, Chris, can be a good cook, but only stuff that HE wants to cook. He likes to cook on the barbeque grill, or he likes to smoke things, and he is far superior to me in cooking fried eggs over medium. I have no idea WHY, but I am unable to cook a decent fried egg, over medium. I try all the time, but if you want your eggs over medium, you should just have Chris make them for you. Chris also is an adventurous cook, like my brother. 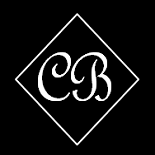 Chris has made things over the years that I would never have attempted. One time he made absolutely delicious Cambodian meat skewers with a lemongrass marinade? Oh my gosh…so yummy! Time consuming though, and not something I would have undertaken. 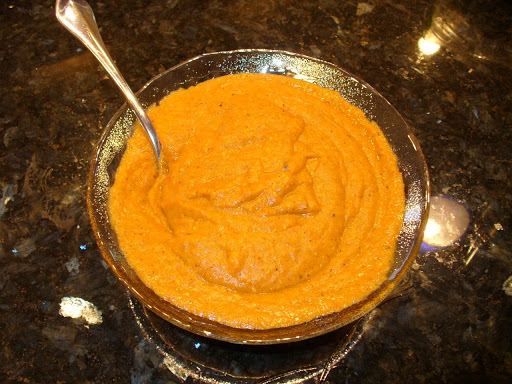 Chris has been wanting to make Foul Mudammes, an Egyptian dip somewhat like Hummus except made with fava beans. You know, fava beans, as in the famous line by Anthony Hopkins in The Silence of the Lambs, “I’ll have some fava beans and a nice Chianti” or whatever it is he says. The problem has been finding the fava beans. We have looked and looked at multiple stores (I would have given up long ago…the difference between being a lazy cook and an experimenting cook!) when finally we found some fresh fava beans. $6 bucks for two little packages of beans! 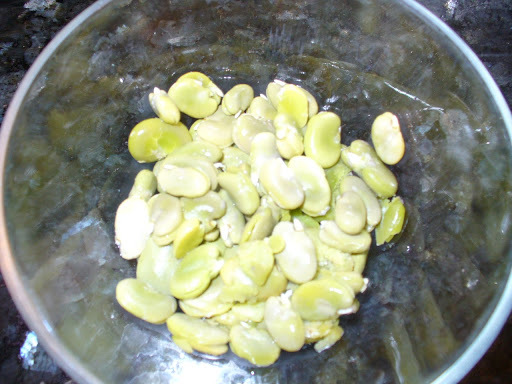 Fava beans look like an overgrown green bean, with a thick pod that is cottony on the inside. First we had to shell the beans from the pod. Then we cooked the beans, with a small potato, until the beans were soft. 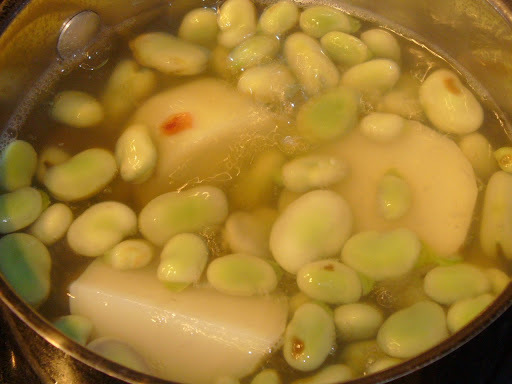 That’s about a cup of cooked, peeled fava beans. Huh. That was a lot of work already (says the lazy cook)! and garlic and tomatoes until they were all soft and the tomatoes were getting mushy. Then we added the cooked fava beans, the potato, and seasonings: cumin, cinnamon, curry power, chili powder, and turmeric to the mix along with some lemon juice. This cooks for about 15 or 20 minutes to mush everything up a bit more and blend the flavors. At this point it starts to smell amazingly good! Then it all goes into the blender. Whir! The final product looks like this and is so delicious. We served it with heated, store-bought naan bread, brushed lightly with olive oil. As you can see, it made quite a bit, and we ate all the naan bread up and a good amount of the dip. I’m glad Chris is an adventurous cook otherwise I would not have been able to enjoy this delicious dip. This is something he wanted to make that we cooked together, and it turned out to be very easy, outside of the tedious shelling of the beans. We have found a solution to the tedious shelling, though! While grocery shopping yesterday I located dried fava beans sold by Bob’s Red Mill. They are already shelled and ready to cook! 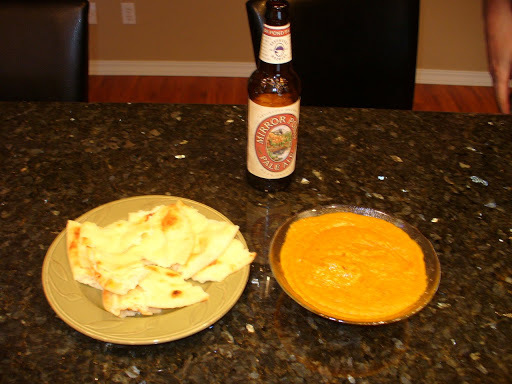 A side benefit of the Mudammes is that it is a relatively healthy dipping option, excluding the bread. 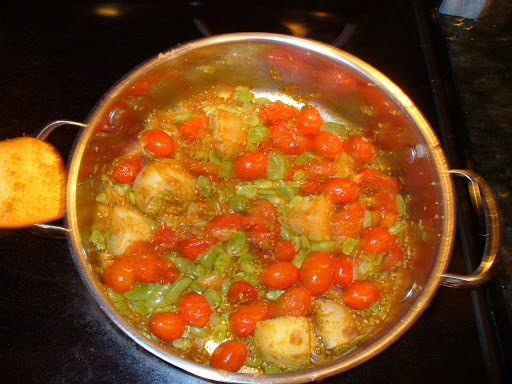 It has good fats of olive oil, good spices, onions, garlic tomatoes and beans. Not a lot to make it a heavy calorie dip. Egyptian Foul Mudammes is definitely something we will be making again. 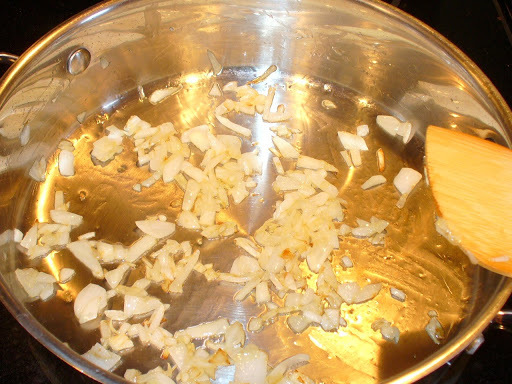 This entry was posted on May 10, 2010 by Corrie Beebe in cooking, food, recipes.